and ancestors is permanent. ~ Shree Krishna. I came to know about the importance of today from my mother. While we got chatting with each other just like any other normal day, it took me only a few minutes into the conversation to realize that today was not any other ordinary day. ‘Arti, today is Akshay Tritiya’. Though we had to snap our conversation right there but her words continued to echo in my mind. My echoes helped me dive into a sea of information I had gathered around this day ever since I started learning. What is Akshay Tritiya or Akha Teej? Akshay Tritiya or Akha Teej is the birthday of Shri Parshuram, one of the many avatars of Lord Vishnu thus marking it as a very auspicious day in the Hindu calendar. Falling on the third day of the waxing moon in the month of Vaishaka, Akshay Tritiya, broadly translates to a day that has celestial powers such as to bestow an abundance that is immortal and everlasting. Akshay Tritiya in the Hindu Scriptures. This was the day River Ganga came down to earth from her abode in the Heavens; This was the day when Ved Vyasa together with Lord Ganesha began writing the epic Mahabharata; this was the day when the Pandava queen Draupadi received AkshayaPatra (inexhausitible bowl) by Lord Shri Krishna which kept filling itself with limitless food; this was the day Lord Kubera, the treasurer, chose to please and invoke Goddess Lakshmi of wealth; this was the day when a broke Sudama received a treasure of wealth and happiness when all he had to offer was a handful of rice to his rich friend, Krishna; this is the day when Jains observe fast and break it with sugarcane juice as the first tirthankar monk Lord Adinatha or Rishabhdeva had broken it in a similar fashion after keeping a year-long fast; this was the day when the golden cycle of cosmic era Satyuga ended and Tretayuga began. Relevance of Akshay Tritiya today. Eventually over the years, the positive energies these tales vibrate in have evolved into a connotation making Akshay Tritiya a special and sacred day for all those who believe. Which is why, people can be widely seen celebrating this day in their own ways. Some keep a fast, some indulge in daan or charity, some others wish for wealth while a lot of people can be seen investing money in gold and real estate with a belief that their endeavors will continue to flourish and bring prosperity that will be ever enduring. The temples deities are not behind in the celebrations either. The Badrinarayana temple in Uttarakhand will open its gates today for darshan and will remain open for 6 months till the time they close down again while the chariots for the Jagannath Rath Yatra at Puri will initiate with their construction today. My small little good deed for the day. Amid all the above thoughts, I wondered what I could do and the very next moment it struck. I had a Milaap voucher, a prize I won for my post Gift a smile this festive season, which conferred me with Rs. 15,000 that I could lend to anyone listed on this page. Milaap: Lending a loan to Dhanalaxmi and Group. I chose Dhanalaxmi and group. It was heartening to read how the group have to trek every day for half a kilometer to fulfill their and their family's requirements for water. Summers must be making their lives terrible. However, they are still short of Rs. 5,500. 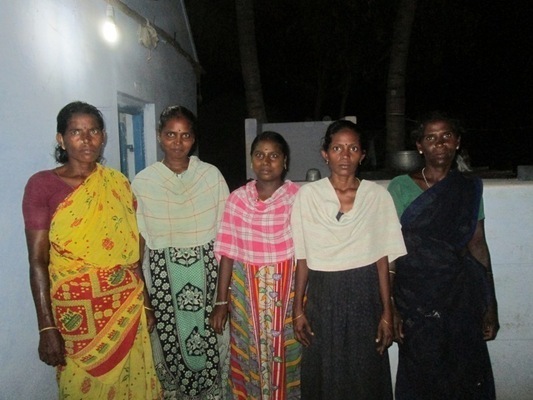 If you feel for their cause and wish to know more about them, please check out their profile here: http://milaap.org/fund/dhanalakshmi-and-group/2476. Remember, the money you give away is just a loan and not a donation so that it will come to you once they start repaying it back. As for me, I feel grateful for I had an opportunity to do my good deed for the day, perhaps this was the blessing my mom was talking about. Lovely tales around Akshyatritya and congratulations for the prize and the good deed of donation Arti! And, what a blessing you have been to these ladies. Arti, Great post , Thanks for sharing. Such a noteworthy date and what a great way you chose to honour it. Not sure whether my comment was registered .there was some problem while posting it.. anyways.. I loved your gesture. God bless you. This is new information for me, thank you for share. Hope everday is Akshaya Tritya, so earth will be full of good deed, wisdom , gratitude and blessing. Great post and love the thought of A good little deed for the day - such a wonderful gesture you did. Happy Akshaya Triitiya, nice to learn about the significance of this day and your noble deeds. You did very well, Arti! A noble deed on a special day. lovely gesture on such an aspicious day.. Thanks for the valuable information about Akha teej. I too love the gesture you conveyed. You always give me such a positive energy and that's the reason I love reading your blog. The first quote is so powerful! well done and God bless you. You are very smart. It is loan and not donation. They will use your money effectively and strive and stand on their legs. You really did noble thing on that day. I'm impressed sincere gratitude or seek wisdom your mother said to you. What a moving post....& a wonderful day to celebrate good deeds....everyday should be like this....thank you for sharing this with us & giving us inspiration for future good deeds! Very informative and a motivating post A good deed on a great day! God bless you. Great! indeed a good deed! Atri, a very nice gesture and an excellent post. And thanks for the information about Akha Teej.